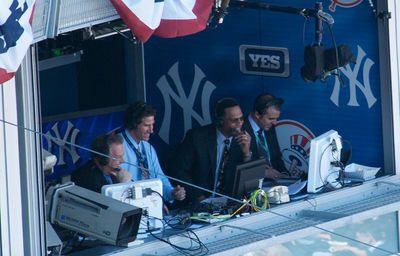 Sports commentators can help viewers know what is going on on screen, when something is difficult to see, but they can also be distracting. 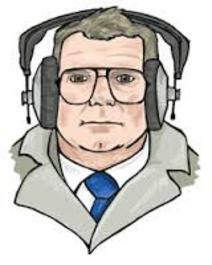 Do you like listening to commentators, or would you rather they weren't on? Horse racing is my favourite sport to listen to the Commentators. Yes. Especially for the cricket. We have some commedians commentate the cricket and it's a blast, makes it much more watchable! It depends which sports it is. I think teams sports such as rugby need commentating to help you know who is in possession of the ball, etc. I also like commentators on Formula 1, who inform you of off screen events. I don't much care for commentators in tennis though. A lot of them just waffle on non stop about absolutely pointless stuff. If I understand the rules and techniques of a sport, I prefer to watch it with the sound muted. I only listen to commentators if I want more understanding of the game. No, I do not like many of the sports that are on here. I enjoy watching competitive swimming, diving, skiing, ice skating, but not a lot of other everyday ones. It's like with all things. There are good ones and really bad ones. I like listening to Ritchie Benarad. Most of them have disgustingly untrained voices! So rough, & not an idea how to speak properly at all, & very grating to the listeners' ears. I'm not interested in tv sport. Boring as bat@&$:! I only watch Equestrian, NOT horse racing, & that's only on when there's the Olympics, & ONLY providing Australia's doing well! No, I don't like listening to them either. My husband usually has the sound on mute, when he's watching the football. Have you ever seen or bought a Dragon's Den product? Which is your favourite cartoon bear?